This is a 1966 Ford® Bronco Clear Body with Ridge-Line Trail Cage for Deadbolt. Deadbolt fans prepare to cheer! 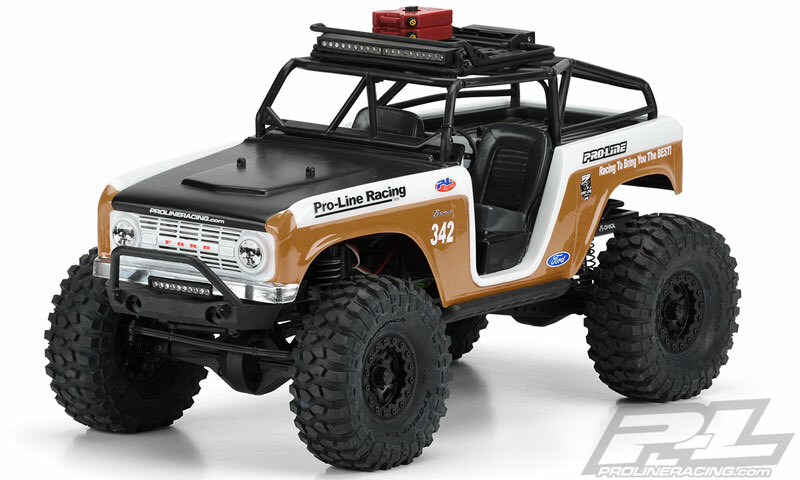 Pro-Line finally has a body for the Deadbolt chassis that includes Pro-Line's Ridge-Line Trail Cage: the fully licensed 1966 Ford® Bronco body! 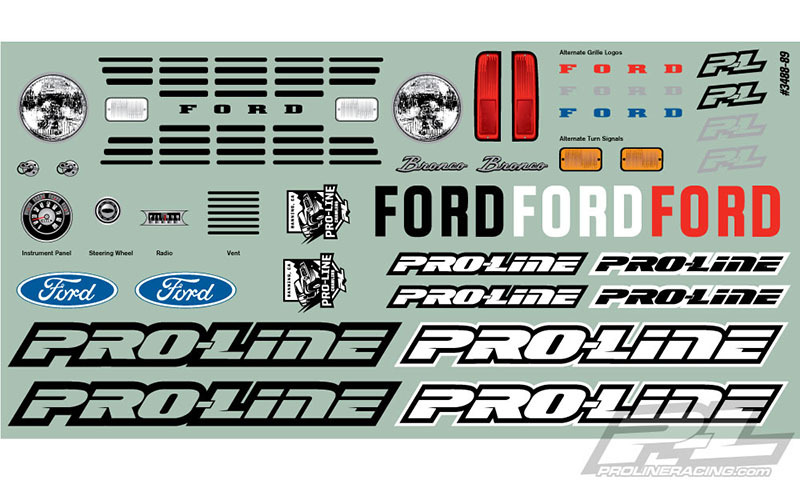 The most distinguishing feature of Pro-Line's new 1966 Ford® Bronco body is the extremely deep interior allowing you to have full length driver figures for extreme scale realism. 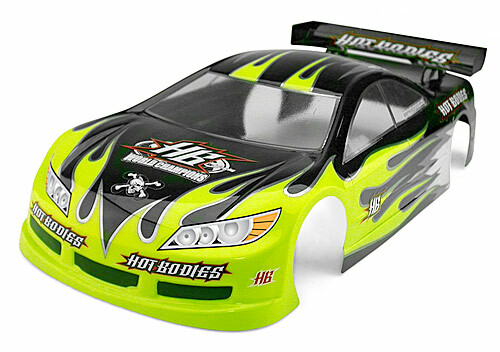 The separate dash piece adds another layer of detail not found in most bodies and is designed to work with the stock Deadbolt plastic steering wheels found in the spare parts bag. The Iconic look of the 1966 Ford® Bronco has been captured in every way and will completely transform your Deadbolt into a rugged off-road trail ready machine. The Ridge-Line Trail Cage features a unique scale welded tube frame look that will separate your truck from the crowd. 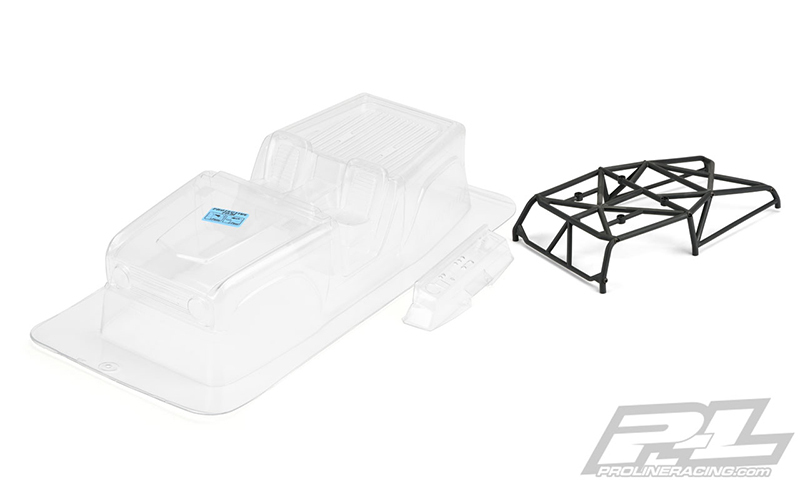 Molded into the cage are mounting locations to fit Pro-Line's Overland Scale Roof Rack directly onto the roof as an option, which opens up the opportunity to mount Pro-Line's 4” LED Light Bar Kit for a fully integrated factory look! The Cage comes with all the hardware necessary for assembly and mounting. Beat your friends to the punch get your 1966 Ford® Bronco body with Cage today!